The signing of the Treaty of Versailles put an end to fighting between Germany and the Allied Powers on 28 June 1919. Exactly five years after the assassination of Archduke Franz Ferdinand, the event that sparked World War I, the signing of the Treaty of Versailles put an end to fighting between Germany and the Allied Powers. Signed on 28 June 1919, the treaty, though flawed, is one of the most historically important documents of the 20th century. The Treaty of Versailles was negotiated between January and June 1919 in Paris and the document’s fifteen parts and 440 articles were written almost entirely by the Allies with little participation by Germany. The treaty stripped lands and colonies from Germany and defined the country’s new borders (Part II and IV). It set up a demilitarized zone and reduced Germany’s armed forces (Part III and V). It established the structure of Germany’s reparations and imposed other financial obligations (Part VIII and IX). The German government signed the treaty under protest and the U.S. Senate refused to ratify the treaty. After strict enforcement for five years, the French scaled back their enforcement of the treaty and, instead, Germany agreed to pay reparations under the Dawes Plan and the Young Plan. Eventually, the Allies evacuated the Rhineland (1930), the Dawes Plan and the Young Plan were scrapped (1932), which put an end to French reparations, and Adolf Hitler rose to power in Germany, denouncing the treaty altogether in 1935. The Treaty of Versailles’ strict provisions and the Allies’ inability to enforce those provisions can, in part, be blamed for the outbreak of World War II. AESU offers several trips to Paris, France, including Cosmopolitan, Explorer, Euro Focus, Great Escape, and Euro Spree. 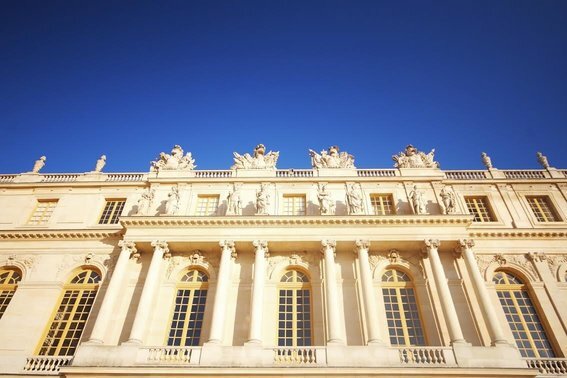 All our tours in Paris have the chance to go to Versailles to see where history was made. If you have any questions or want help booking your Paris adventure, please contact AESU by calling 800-638-7640 or fill out the contact form found on our website. This entry was posted on Thursday, June 25th, 2015	at 5:27 pm	. You can follow any responses to this entry through the RSS 2.0	feed. Both comments and pings are currently closed.